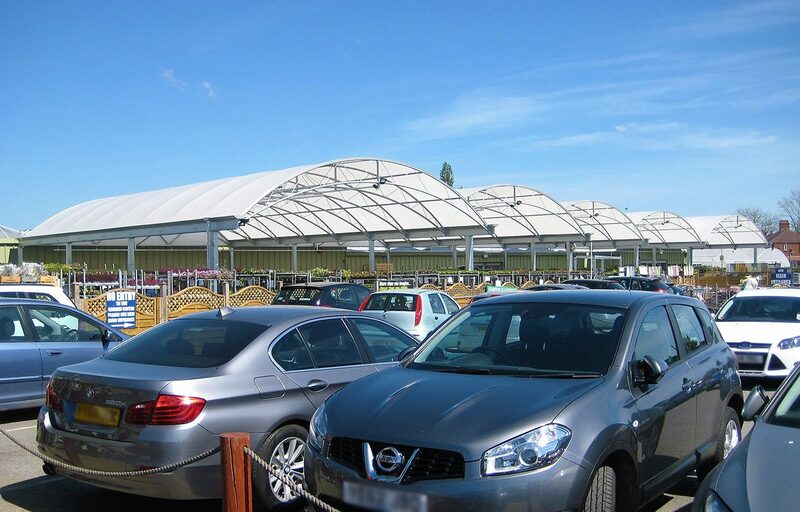 This five bay entrance and exit canopy has added an additional 532m2 sales area and vastly improved Hampson’s kerb appeal. 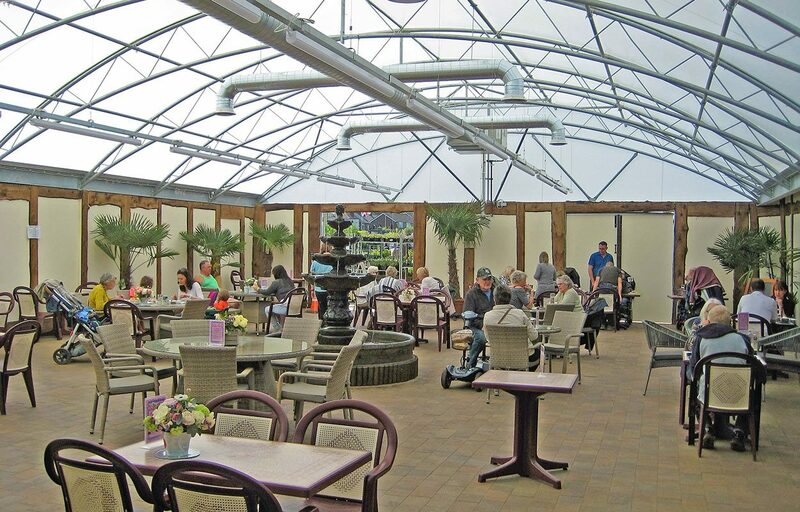 The canopy provides a covered plant sales area as customers enter the Garden Centre directly from the car park. 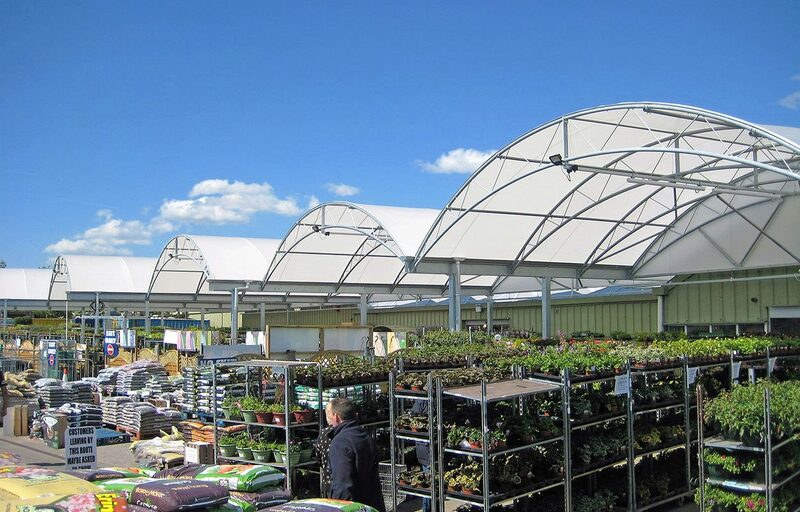 The canopy cover increases customer dwell time by making the environment more comfortable in all weathers. The owner has already experienced an uplift in footfall and turnover. 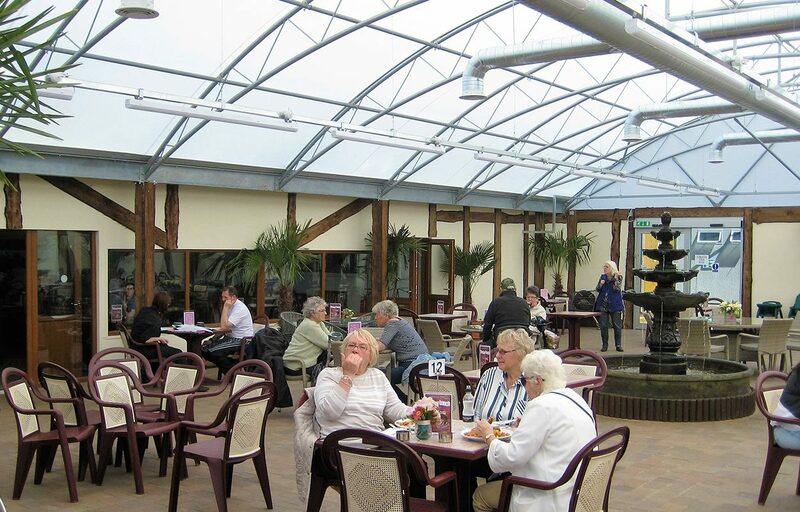 We also installed a 12 x 19m extension canopy to form part of their café refurbishment. The canopy enhanced the seating area by adding 228m2 of space, creating the perfect conditions for alfresco dining. 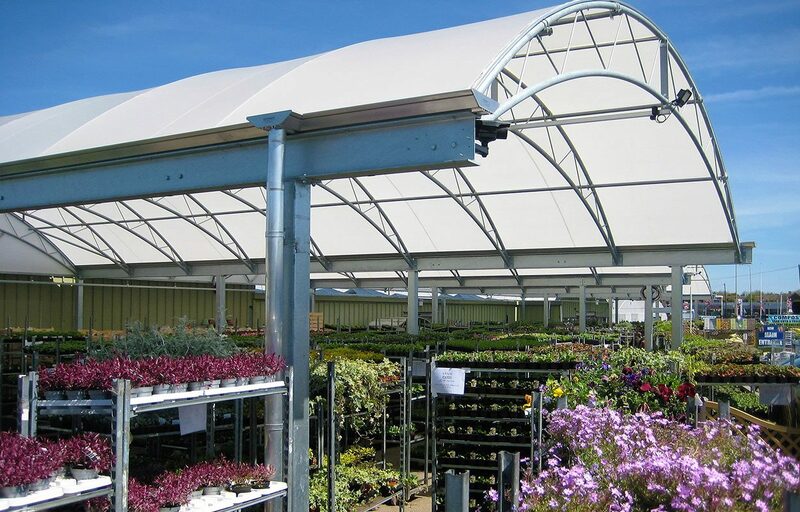 Since installation, the owner has experienced an increase in turnover in both plant sales and the restaurant.